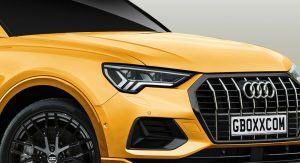 The second generation Audi Q3 is celebrating its one-month anniversary, and we’ve already seen it dressed in different clothes. 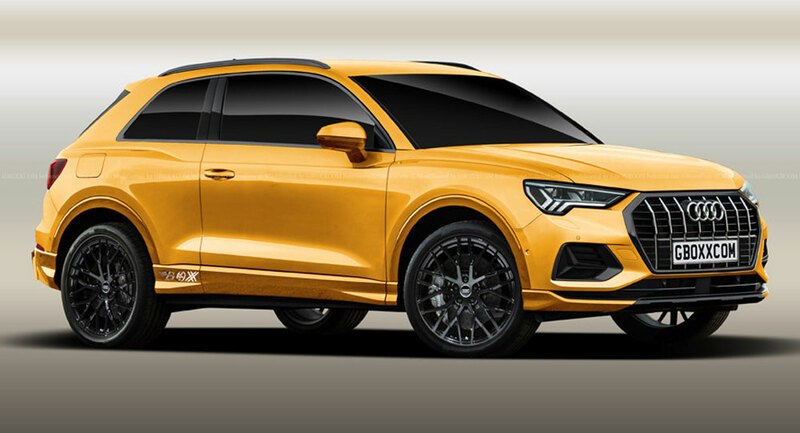 But the latest rendering, which is the work of Aksyonov Nikita, is one of the most daring, as it depicts the premium subcompact SUV in a less practical body style. 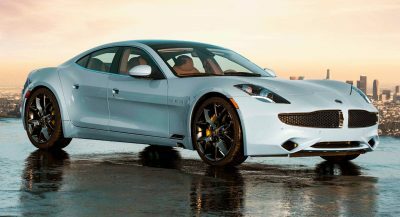 What the digital artist did was drop the two rear doors for a sportier look, and shave a few inches from the wheelbase. 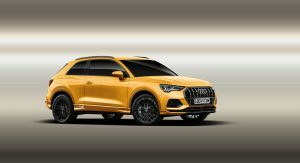 This interpretation of the latest Audi Q3 brings other changes, such as the modified front bumper with differently-styled apron, new side skirts, and upgraded rear bumper with integrated diffuser. 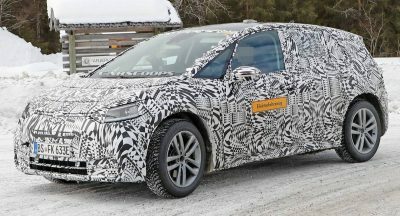 All panels are painted in the same yellow shade as the rest of the exterior, the headlamps and taillights have a smoked look, all windows have been virtually tinted and the SUV now sits on new wheels. 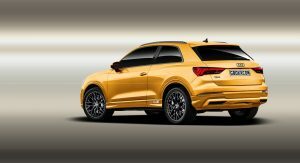 While the car brand based in Ingolstadt won’t offer a three-door version of the new Q3, they will unveil two sporty derivatives, called the SQ3 and RS Q3. 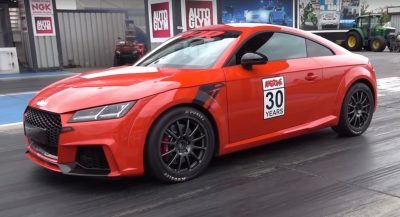 The former is expected with the same four-banger as the Audi S3 Sportback, rated at 310 PS (306 hp / 228 kW) and 380 Nm (280 lb-ft) of torque. 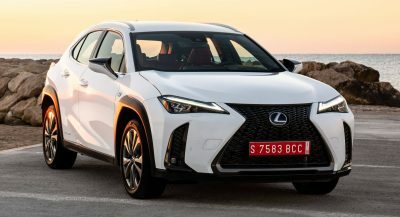 The latter will take a swing at the Mercedes-AMG GLA 45 with a turbocharged 2.5-liter five-cylinder engine coming from the RS3 Sportback, which generates 400 PS (394 hp / 294 kW) and 480 Nm (354 lb-ft) of torque. I actually love the compact look of it. Although I don’t think it would succeed or be anything close of being a hit. Remember the 2 door Evouqe! Why not? 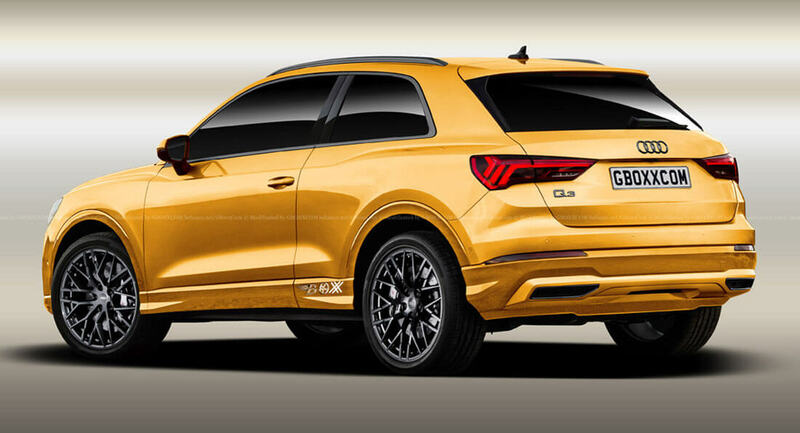 If a Q8 makes sense, why not a 2-door Q3 coupe (or maybe it should be Q4). Finally, a right model. 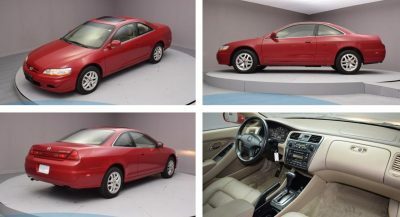 Sporty, compact but raised enough to allow for some rough drive.